This time of year, as the season moves toward its end, you'll see that some of your dahlia flowers have less perfect form, and they may display their centers. This is actually a signal that they're making seeds; the open centers increase the likelihood of pollination. If you're enjoying your dahlias and want more, and you have plenty of garden room and the patience for experimentation, you might try saving the seeds from some of your favorites. Professional dahlia developers recognize that the chances of getting a dahlia with great color and form from a seedling is small, but that doesn't keep them from trying, and it shouldn't deter you, either. You can increase your chances of something predictable if you control the pollination or know the likely pollen parent. 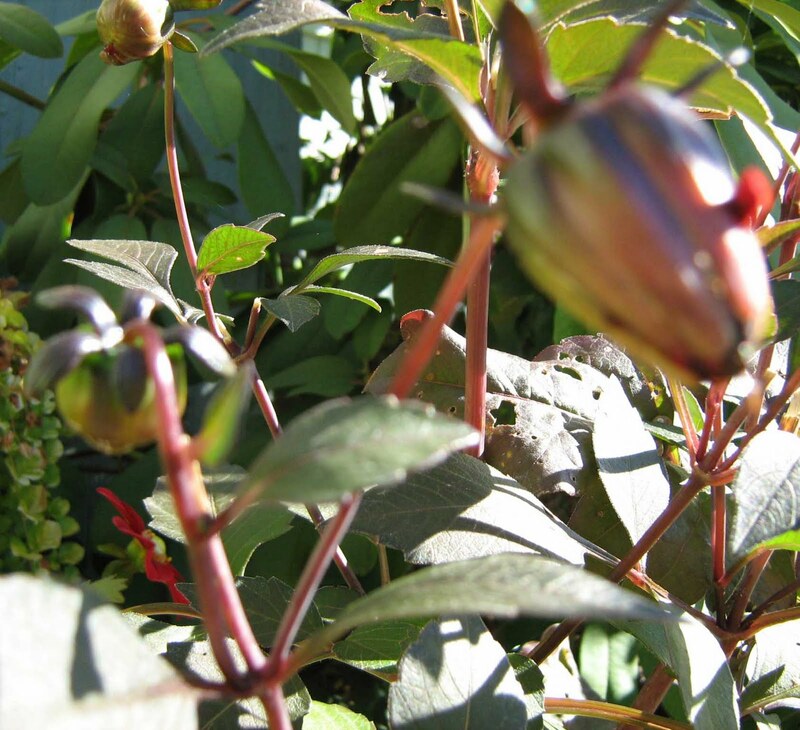 The seedpods on your dahlias resemble buds but they're longer. Once the ray florets have dropped off and the pod has formed, it will take 10 to 14 days of dry weather to mature the pod. It's a good idea to label the stem with the name of the dahlia if you are saving seeds from more than one variety. Paper adhesive tape is a good labeling medium; use a waterproof pen. When the seedpod has dried, pick it and place it in a dry location. When it is fully dry and feels light and papery, shell the seeds out of the pod. 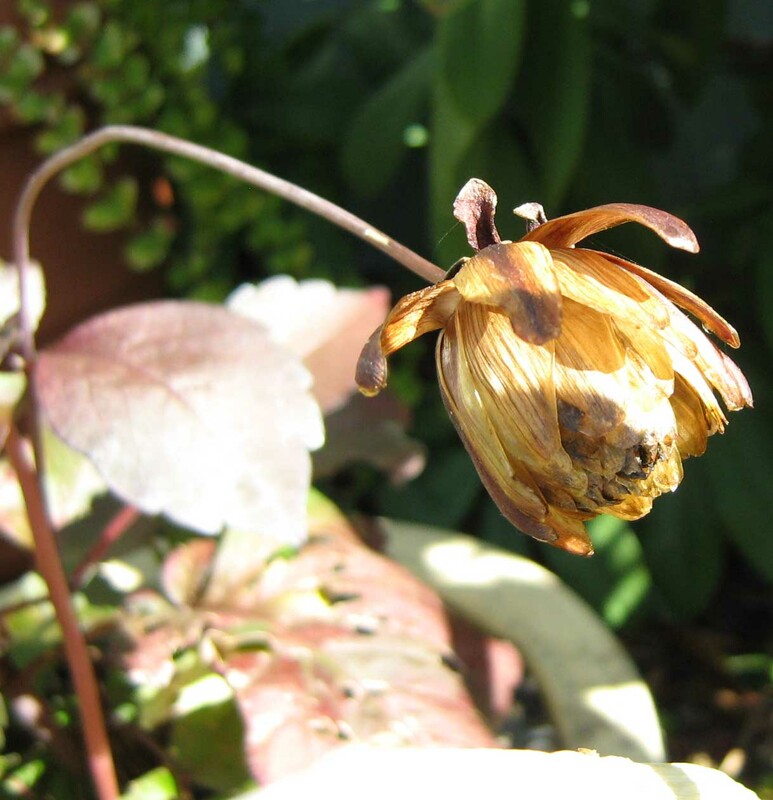 You'll also find immature seeds, dried bracts and disk flowers in the pod. 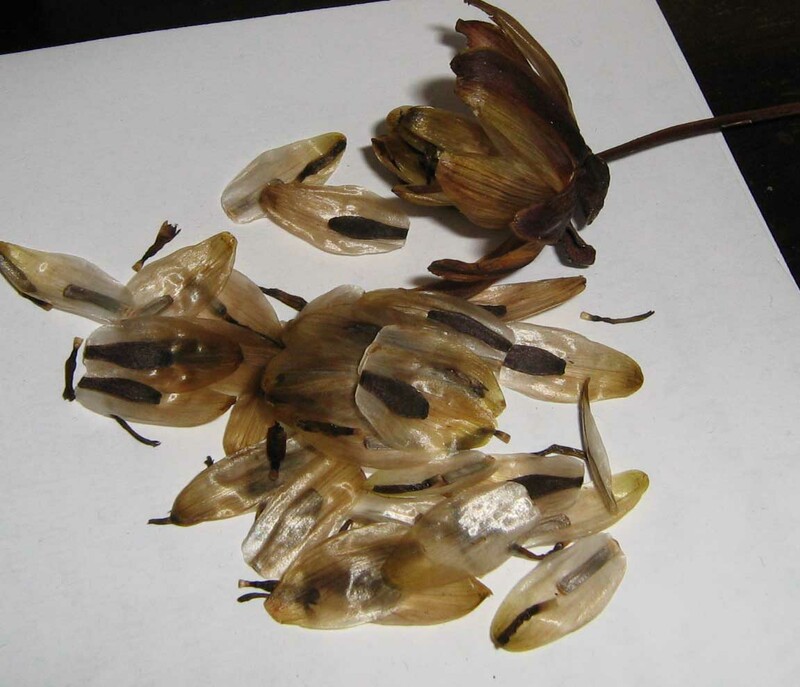 Mature seeds should be dark, full and firm; save only the fullest seeds from each pod. Put them in a labeled paper envelope and keep them in a dark, dry location. They should keep for several years. 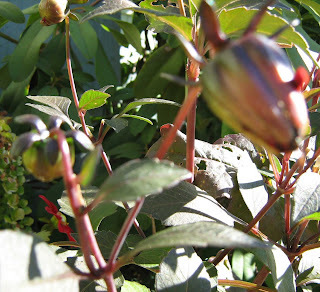 Look for the dark, full mature seeds when you open a pod. In the spring, plant the seeds in potting soil. When they sprout and develop their first set of leaves, transplant them into 3-inch pots and grow them in a protected area, planting them outside when the first danger of frost is past. While dahlia propagators intentionally cross varieties they think will make good stock, it's always interesting to see what happens with random crossing. And seedlings are "in" these days; nurseries, for instance, offer pots called "The Bishop's Children" with seedlings of the popular Bishop of Llandaff variety. You probably won't want to depend on a garden full of guess-what dahlias; you'll probably want to order dahlias on your wish list and nurture your old favorites. But you'll have fun seeing what characteristics your experimental dahlia flowers develop, and if you like them, the pleasure of saving the tubers for years to come. Who knows? You may be rearing the next must-have dahlia.